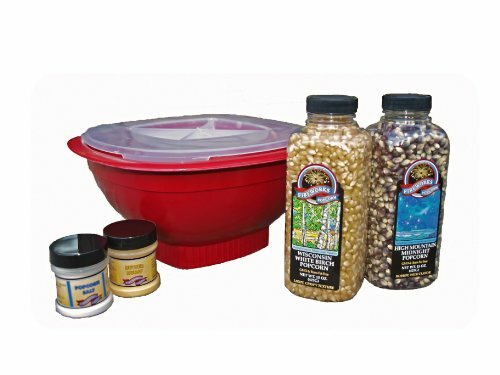 Microwave Popcorn Bowl Gift Box Set. A popcorn lovers wish come true…a microwave popcorn bowl set with Fireworks Popcorn and seasonings! The 12 Cup Microwave Popper may be used with or without oil. This quick and easy popping method yields light, fluffy pocorn. Great for the Graduate or Office Worker! Great snack for anyone, anywhere, anytime. If you have any questions about this product by Fireworks Popcorn, contact us by completing and submitting the form below. If you are looking for a specif part number, please include it with your message.